There is no available information about the recordings used in this release, although it can be inferred that they were captured in some sort of forest. They are also recordings from a musical performance with drums and voices. Although there are plenty of works using field recordings from the forest, this release has a very unique approach to them. The tactile qualities of the recordings in this release ara quite powerful: the listener gets to feel very close to every sound creating this microscopic effect that develops an aura of intimacy that strongly affects the sensible experience of the listener keeping him amused, surprised and immersed. The great detail and the subtle polyphony occurring after the variety and multitude of sounds happening in the recordings creates a feeling of deep immersion and strong awareness that sets the emotional tone for the full 44 minutes. Although most of the release is based on field recordings, on Woodland there is a long grave sound that opens the piece. This 5-minute segment establishes an emotional narrative structure of great depth and contrast that creates the emotional context where the whole release will develop. When Daniel Crokaert writes “…Cosmos is almost enclosed in a single resonance” he couldn’t be closer from the truth: there is loads of scientific and artistic research around the sounds from the big bang roaring across the universe. Artist and philosopher Johnaton Keats has worked on the subject for some time and scientist Mark Whittle published this very interesting paper “Big Bang acoustics” where he tries to understand certain universe processes through the sounds occurring in of the universe. The microscopic effect works as a telescopic effect as well. Seemingly every sound occurring in the cosmos becomes part of this big resonance we experience on every sound we listen. 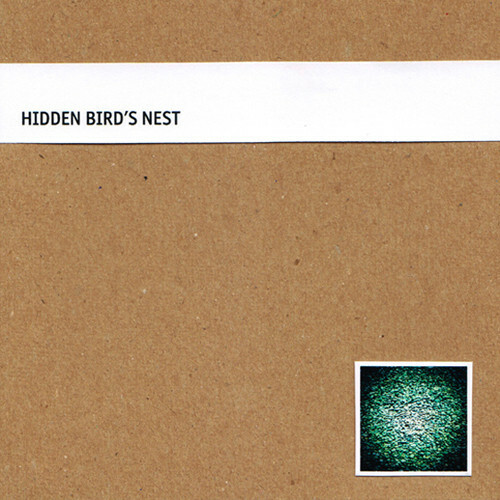 Hidden Bird’s Nest is a great example of how the sounds of nature offer an infinite universe for the artists that they are ought to explore and inhabit with their emotions. Very effective artistic work that offers a deep, intimate and emotional perceptual journey into sound.